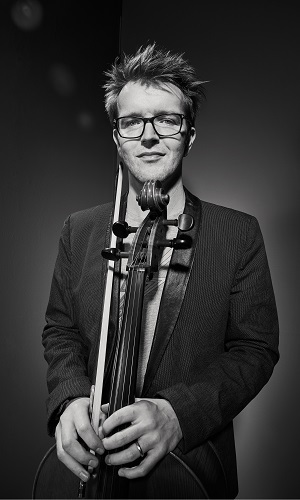 Peter Gregson is a composer and cellist ‘working at the forefront of the new music scene’ (The New Yorker). His latest album, Recomposed by Peter Gregson: Bach – The Cello Suites, was released on Deutsche Grammophon in October 2018. It is a stunning reinterpretation of Bach’s six suites, performed by Gregson and an ensemble of five cellos underpinned by a subtle electronic soundbed. His debut solo album, Terminal (2010), was commissioned by Bowers & Wilkins and led to his first ballet commission, Hubert Essakow's FLOW at The Print Room, London. Other albums include Lights in the Sky (2014), composed for cello, piano, and analogue synthesisers, TOUCH (2015), released on Sono Luminus and Quartets: One and Quartets: Two (both 2017). The soundtrack to his first feature film, A Little Chaos, directed by Alan Rickman was nominated for the Public Choice award at the World Soundtrack Awards.